Photos from East Austin, Texas taken MLK day weekend 2017 for ATX Squared. The event is an effort document the East Austin neighborhood and is also a response to the changing of the presidential guard. Photos shown on Friday, Jan 20 (inaugaration night) at the Full Circle Bar on E. 12th St from 700 to 930 pm. 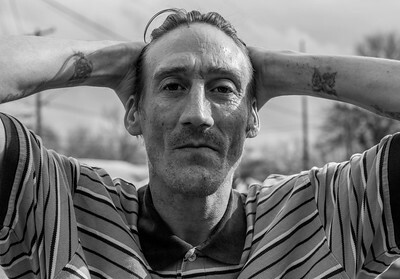 Phillip Aaron Thompson grew up in and around South Austin. He attended Kealing Middle School for a few weeks until his mom ran out of money and was forced to move. 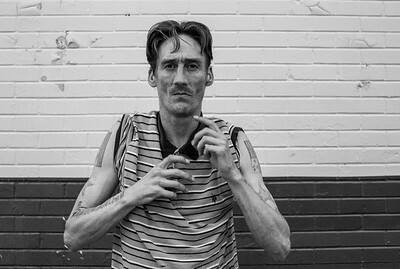 He was beaten by a gang member in Houston, and suffered debilitating injuries. His friend Dale Elizabeth said he's a strong man. "There's a trooper right there. He has survived things others could not." Phillip was photographed at the corner of E. 12th St and Comal St. Creative Commons License This work is licensed under a Creative Commons Attribution-NonCommercial-ShareAlike 4.0 International License. 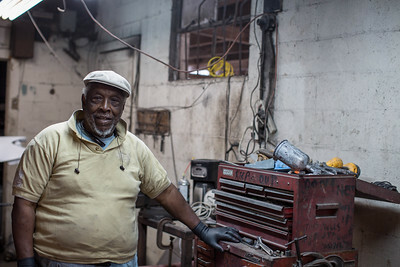 James Stewart has been fixing cars on 12th since June 1969. 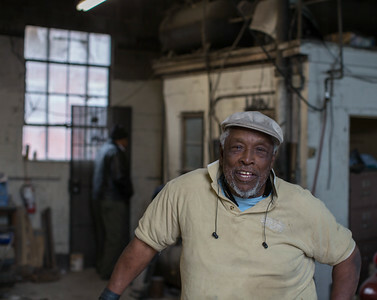 He is the owner of JT's Body and Paint Shop on 1202 Salina Street. 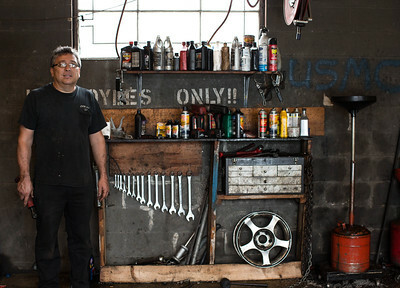 He makes end meet by fixing totalled cars with clever welding and bodywork. While he said the neighborhood was much rougher when he started out, he also laments the businesses and homes that have been knocked down to make way to progress. He pointed out the empty lot across the street, which held a theater, and the homes down the street once lived in by his friends. 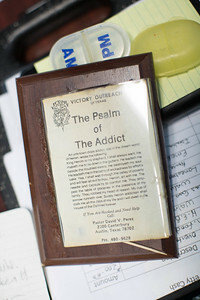 Pastor Tony Johnson and his wife Juanita started The Ministry of Challenge on Comal and E 12th in 1993 in order to help people dealing with drug and alcohol addiction. 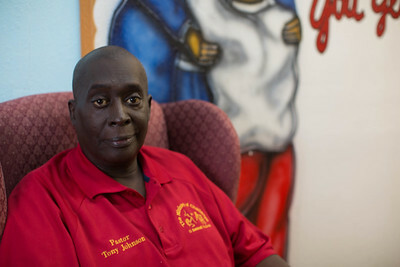 Tony grew up in south Dallas, and turned to selling drugs after losing his mother and grandmother. 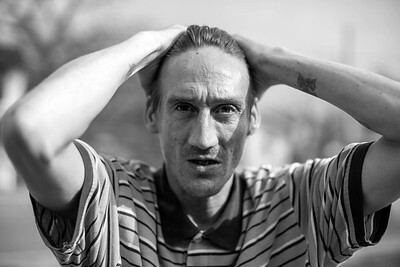 He spent 7.5 years in prison and when he got out, OD'd in an abandoned house on 12th and Comal. He woke up and swore that if he lived through this, he would dedicate his life to God. On the floor next to him was a piece of paper with the number of Pastor David Perez. Tony called the number, and Pastor Perez helped him straighten out. Tony became a pastor and later founded his mission by following a wealthy Austin businessman to his office. The two struck up a friendship, and the businessman introduced Tony to other Austinites who enabled Tony to raise enough money to start his mission. 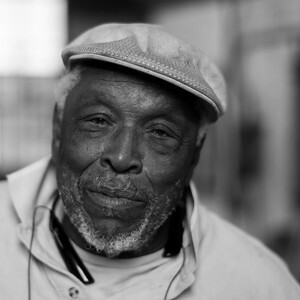 Today, the mission houses more than 300 people each year, and feeds several thousand during the holidays. 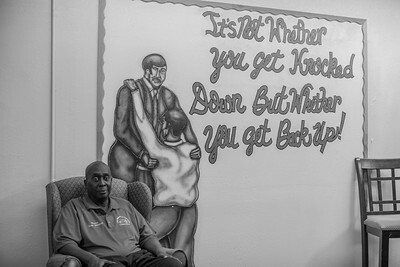 He's pictured at his mission, in front of a wall painted with his favorite saying, "It's not whether you get knocked down but whether you get back up." 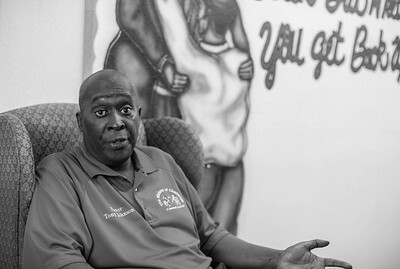 When Tony Johnson was 25 years old, he was fresh out of jail and OD'd in an abandoned house near Comal and E. 12th Street. 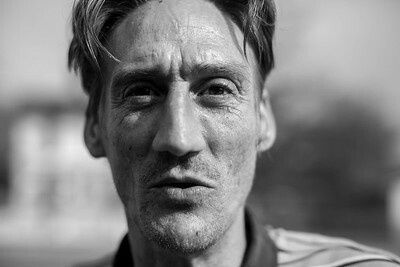 When Tony woke up after 16 hours of near-death, his friends had abandoned him. He swore that if he survived that day, he would dedicate his life to God. When he woke up, the note above was next to him. He called Pastor David Perez, and went to his church. Tony became one of Pastor David's star students, and eventually founded his own ministry, the Ministry of Challenge. 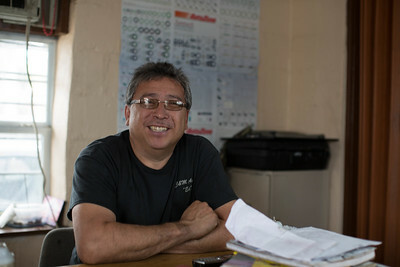 Edward Campos is the owner and operator of C&M Auto at 1217 Chicon. His dad, Manuel Campos, has owned this spot since 1977, and still runs C&M Liquors next door. Edward started his business when he was 23 years old. 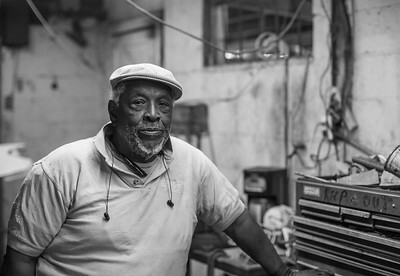 He remembers drugs being sold across the street, and his father getting shot for his efforts to start a business. 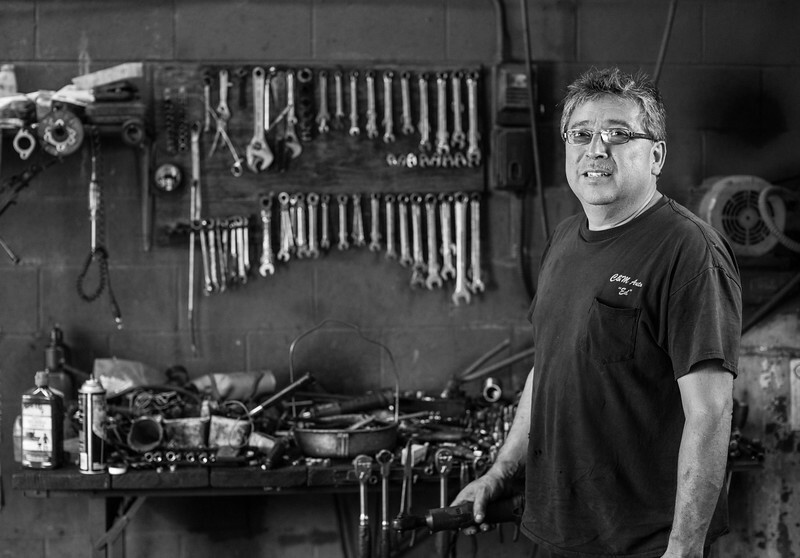 Edwards' grandfather, Ray Velasquez, started Roy's Taxi in Austin in 1931 and became a prominent businessman in Austin. Edward's family didn't prosper from Roy's success. "My dad came to Austin to make a life for himself," Edward said. "He had nothing." Today, Edward sees a steady stream of businesses leaving and closing, and new developments being built to replace them. "The only thing to worry about today in the neighborhood," he said, "is where to find parking."